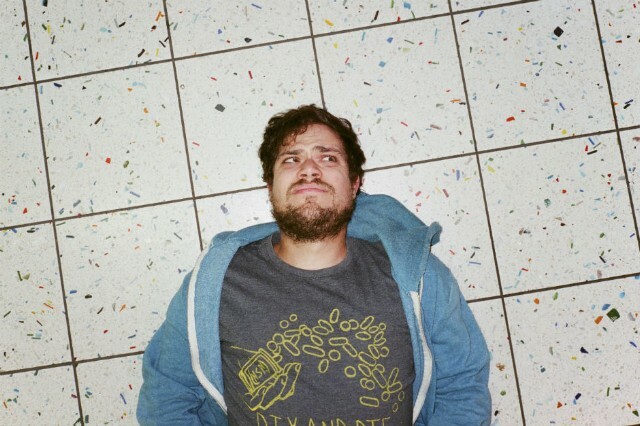 Few singer/songwriters manage to match the power and the passion of Long Island punk fixture Jeff Rosenstock, at least not without seem like self-important assholes. On second album We Cool? — well, some say it’s his second, some call it his first “proper solo,” and his press says “all are correct in some way” — Rosenstock also manages to be unusually likeable and downright funny, down to the year’s greatest album title/cover combo, while remaining just as tuneful and energetic as ever. Opener “Get Old Forever” cycles through xylophone, prime Weezer synths and gorgeous harmonies over double-time stomp, “Beers Again Alone” is the harmonica-led drunken emo singalong you never knew you needed, and blistering-but-sweet advance single “Hey Allison!” proves once again that there’s never been a non-awesome “Hey [Name]” song. Stream the album below, and grab We Cool? when it’s released on March 3 on SideOneDummy Records. Also check out Rosenstock on tour with Andrew Jackson Jihad, the Smith Street Band, and Chumped this spring, and then with just Chumped in a later tour.